Home » Tamil » News » Lavanya Tripathi to replace Tamannaah in 100% Love Tamil remake? Apparently, the makers of the Tamil remake of 100% Love have approached Lavanya Tripathi and are waiting for a nod from the actress. Ever since news is out that the 2011 Telugu hit 100% Love featuring Tamannaah Bhatia and Naga Chaitanya is being remade, speculations regarding the lead actress have been very high. Recent reports had it that Tamannaah Bhatia will reprise her role in The Tamil version of 100% Love which will have G V Prakash play the lead role. The remake will be directed by debutante Chandra Mouli, who has been a close associate of Sukumar who directed the original Telugu version. Buzz in the Tamil film circles is that Lavanya Tripathi has been approached for this role since Tamannaah hasn’t confirmed yet about her availability. “Lavanya is currently the front runner. She has been approached but she is yet to take an official call. She is figuring out dates as she has other commitments as well,” a source close to the unit was quoted in a leading daily. 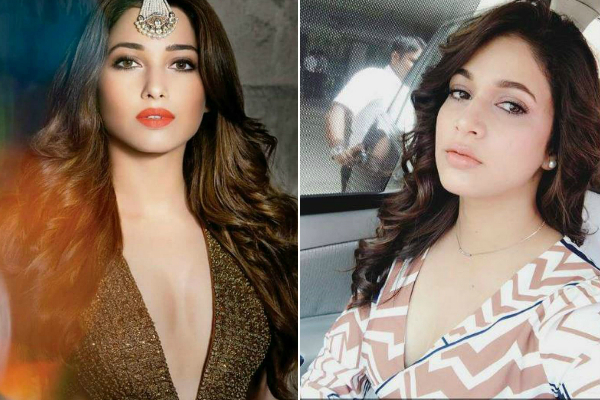 After it was confirmed that 100% Love will be remade in Tamil, the role played by Tamannaah in the Telugu version was offered to many top actresses in South Indian cinema including Sayyeshaa and Tamannaah Bhatia. After going to many actresses, the makers have now approached Lavanya Tripathi and are waiting for a go ahead for the Andala Rakshasi actress. Lavanya Tripathi’s recent release, Radha, alongside Sharwanand is a hit at the box office and the actress is back in the reckoning for lead roles in many top movies. The remake of 100% Love is yet to be titled by the makers in Tamil and speculations are high that the shooting of the film will start in September or October.